Last Friday, West Bay Opera opened Tchaikovsky’s Eugene Onegin at Palo Alto’s Lucie Stern Theater. Centered on a man who can’t seem to engage in life but skirts the edges, this was not the usual opera fare – grand passions on a tapestry of grand music. Instead we had the straitjackets of society and the drifting purposelessness of a baritone, albeit set to Russian lushness. Like many themes that resist translation, this opera’s political subtext would have been apparent to native Russians, with questions of class adding bite to scenes of minor nobles at love and play – and this was written just 25 years before the Russian Revolution. Eugene Onegin (pronounced Yev-GEN-ee Oh-NYE-gn) drifts through the emotions of his fellows, unable to reciprocate in love and yet craving what they have. Onegin was sung very convincingly by baritone Anders Froelich, with an erect carriage that kept him centered even as life swirled around him. The emotional center is when Tatyana (sung by Olga Chernisheva) convinces herself that she is passionately in love with Onegin, writing a letter through the night to confess her feelings. It is a love-at-first-sight that is no harder to swallow than in most American musicals, but the object of her passion is too conflicted to respond. Not so our composer! Poor Pyotr Ilyich Tchaikovsky himself was in the midst of writing this opera when he responded to a letter from a former student, Antonina Milyikova, who was similarly passionate about him. But then he decided to marry the poor girl, which was disastrous on all fronts, for Tchaikovsky was a closet homosexual (and to be not in the closet was a sure jail sentence). He may have felt deeply for Tatyana’s plight, but he may also have wanted to quell rumors about his sexuality. After six stormy weeks of “marriage” he started to have a nervous breakdown, and his brother took him off to St. Petersburg to recover. This is a much better story than the one of noble ennui, but it is one that Tchaikovsky could never write, and he was said to have despised himself for his part in it. So the story that he could write was abstract, and it remained deliberately abstract despite a famous duel scene, when Onegin kills his best friend, Lensky, and one of the great waltzes of all time, along with a famous Polonaise and lots of difficult choral parts. It is difficult to make this all gel, but Mexican film and opera director Ragnar Conde teamed up with a brilliant team of set, costume and visual designers to separate the action into framed tableaux. And those scenes were literally framed, a huge gilt frame running around the whole front plane of the stage, with a scrim hanging just inside so that the figures, frozen in still-lifes, took on the flat dimensions of a painting. As the introductory music for each scene swelled, the scrims rose and the figures broke their poses and into life. It is a stilted and static device, but strangely powerful at drawing one in to an action from another era. Those sets did not stop with the visual, but spoke to the political: the gilding on the frame crumbled on the lower halves, as old paintings do, setting us up for the crumbling nobility and a society ripe for change, with the lower frame transitioning into steps of gold veined with black. That veining continued throughout each set and climbed halfway up a varied video backdrop. Besides the elaborate sets, Onegin is difficult to stage because of the high level of chorus required, the need for professional dancers, and the many strong leads, but West Bay Opera is no slouch at pulling off big operas in a small theater. Harp notes and an off-stage mezzo set a magical atmosphere in a song of love, followed by a rousing chorus of Russian peasants and an absolutely lovely duet by mezzo Anna Yelizarova and alto Patrice Houston. Yelizarova is a fine-grained mezzo with rich vocal colorings and Houston fired up this stage last year as the witch Azucena. The other strong leads were Froehlich, whose cool baritone was a conduit for deep emotions, and Jorge Garza, a tenor who sent the crowd wild in his aria, “What does the day hold for me?” That last aria, sung before the duel that he knows will kill him, was both raw and supple, and the high point of the evening. The other lead, Chernisheva, had excellent presence but problems in her upper register that made for some rough blends. Mezzo Nikola Printz, playing the younger sister, and bass Silas Elash, singing a passionate aria of new-found love, helped to make up for that. In that intimate theater, the instruments were hugely resonant but also quite naked. Led with verve by Conductor and Artistic Director José Luis Moscovich, the excellent winds and horns handed Tchaikovsky’s themes off to each other and propelled a performance that was lush and lyrical. 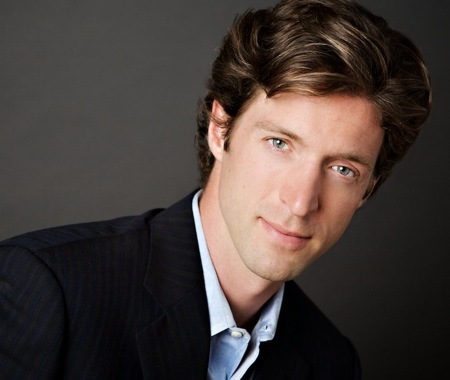 West Bay Opera returns this weekend to perform Eugene Onegin on Saturday, Feb. 27 at 8:00 p.m. and Sunday Feb. 28 at 2:00 p.m. at Lucie Stern Theater, 1305 Middlefield Road in Palo Alto. See westbayopera.org for tickets and more information. 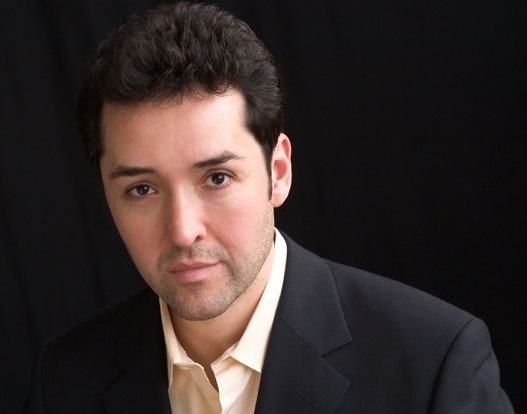 Photo, top, of baritone Anders Froelich and bottom, of tenor Jorge Garza.